Magnesium is a mineral that is vital for more than 300 enzymatic processes in the body. It plays a role in everything from muscle movements to hormone production. It is essential for the body to perform at peak level. Magnesium is consumed, used, and excreted by the kidneys through the urine every day. The mineral is responsible for keeping the body relaxed, meaning mentally and physically. Without the correct amount of magnesium, chronic issues begin to arise. Less than 20-30% of Americans consume the recommended amounts of magnesium on a daily basis, which could be the link to so many suffering from chronic pain, anxiety, headaches, and other common ailments. Many in my field believe magnesium deficiency is the single largest health problem within our society. A major concern is that most Americans experience the side effects of magnesium deficiency as part of their daily life without questioning them. Most people just assume that these issues are due to other avenues of their lives and lifestyle choices, but the truth is that it’s a simple solution that no one seems to know about. This is why magnesium deficiency goes untreated so often. 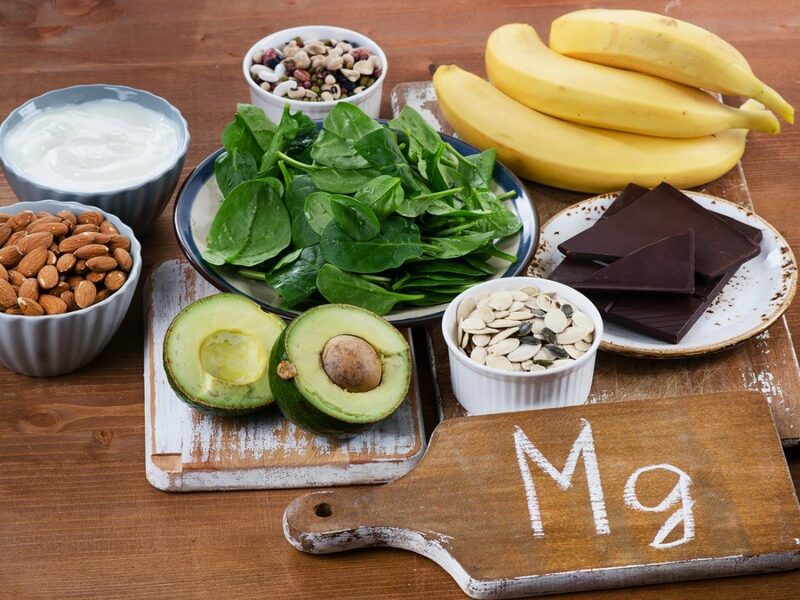 Why are we not consuming enough magnesium? Our soil is not exactly nutrient dense anymore. This alone causes our foods to contain less magnesium. Chemicals such as fluoride and chlorine in our drinking water bind to magnesium, preventing our bodies from absorbing it. Supplementing and consuming excess calcium without a 1:1 ratio of magnesium also causes the body’s magnesium storage to be depleted. Even stress triggers the body to deplete itself of magnesium. Then there is the overuse of prescription medications and antibiotics. This alone destroys our guts and causes the body to fail at nutrient absorption. While the amount of magnesium we need to comparison to other nutrients is small, our bodies deplete it continuously, and it is required for normal body function. It needs to be replenished throughout the day, every day. Healthy food choices are a great start, but supplementation should also be considered. Magnesium can be found in many forms, both orally and topically. Topically, the magnesium moves directly into the blood and tissues, replenishing the body’s needed magnesium stores more quickly and bypassing the kidneys. So, I often encourage clients to invest in a magnesium rub, take Epsom baths, and use magnesium oils. There are many powders and capsule forms of supplementation as well, with magnesium in citrate, chelate and chloride forms believed to be absorbed better than magnesium supplements in oxide and magnesium sulfate form.